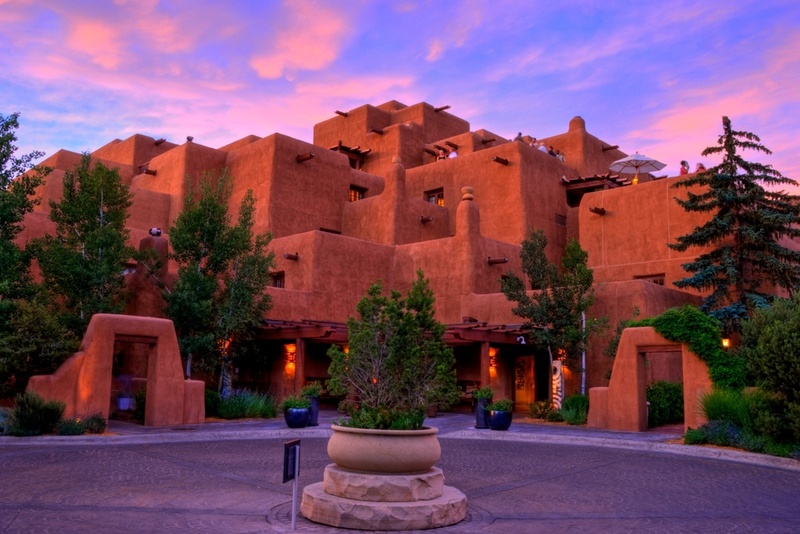 This is the front entrance to The Inn and Spa at Loretto, in Santa Fe. It is a great hotel. I highly recommend checking it out if you are in the area. We enjoyed breakfast there in Luminaria, their outdoor cafe and then walked around the hotel a bit. I knew I had to return to catch it during sunset. You can see folks up top enjoying a cocktail and the view. I am sure a sunset from the top of the hotel would be fabulous!